Alongside the usual technical tweaks and bug fixes, Minecraft 1.4 is set to introduce some clever and curious new features, many of which you can see for yourself if you fancy downloading the latest developer snapshot. Be aware that, of course, this is a work in progress and not representative of everything 1.4 will offer. There are doubtless still secrets to be revealed. Minecraft 1.4 is now known as the “Pretty Scary Update” because it has so much decorative content, but it’s also set for release around Hallowe’en. 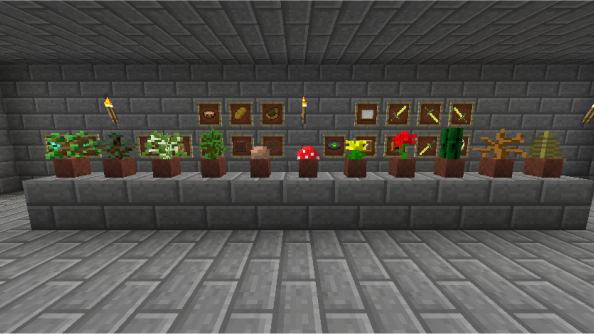 The pretty stuff includes picture frames, plant pots and new, low walls similar to fences. As we reported before, there’s the addition of the modding API for servers, which finally allows server-side mods to be pushed out to players. 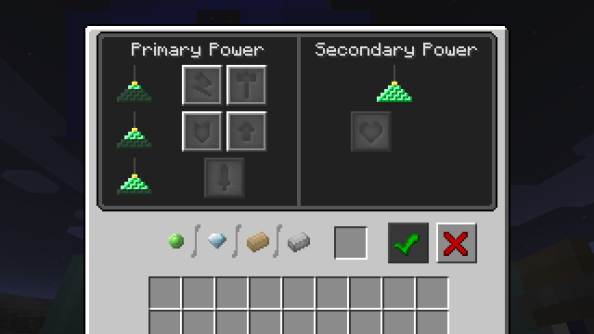 In plainer language, that means no more messing around with mods before connecting to someone else’s game, their server will shuttle over all that you need. For many Minecrafters this will be a welcome release from tinkering inside the guts of their game. Also on the technical side of things, you can expect some improved code to mean that the game will make less of a demand on your CPU and shift some of the work to your graphics card. Freed from all that fiddling with add-ons, players will be able to focus their attention on a burgeoning monster problem. There’s now a chance that zombies and skeletons can spawn with equipment, so don’t be surprised if you spot the occasional monster waving a shovel or even sporting a few pieces of armour. Zombies now baldly attack villagers too and, after a bit of clawing and nibbling, will convert them into big-nosed zombie villagers. There’s a 50% chance of this happening on Normal difficulty, a 100% chance on Hard and, yep, that even includes baby villagers, meaning zombie babies will now be scuttling around, likely causing gamers to cry “Awww!” or “Urrgh!” according to taste. Zombified (is that even a word?) villagers can be rescued from this terrible fate, but it’s expensive as you’ll need to use both a splash Potion of Weakness and a Golden Apple. There’s also a new boss monster to contend with. 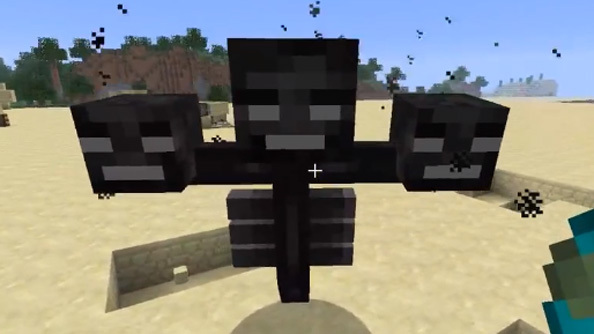 The particularly unpleasant Wither can be summoned when the player collects and arranges three skulls, which are now dropped by skeletons. If all this is giving you appetite, then Mojang have you covered, as carrots and potatoes are also confirmed as new foodstuffs and are sometimes dropped by zombies. 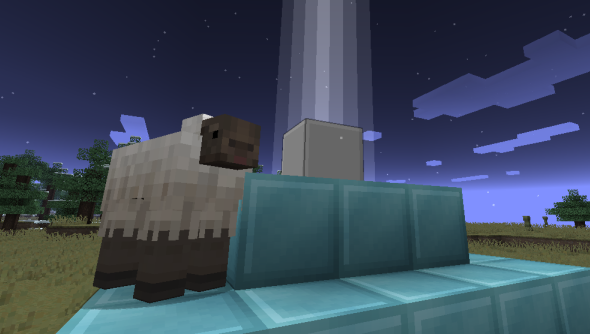 At the moment, Mojang are working on a system where carrots on sticks can be used to control pigs while you’re riding them. Wannabe alchemists and apothecaries will be delighted to hear that it looks like there’s new and very useful potions on the way, too. The potion of night vision does exactly what you would expect for three minutes, but also produces some pretty and rather trippy effects. If you want to try it for yourself in the latest snapshot, you won’t be able to brew it, but you can find it in your creative inventory. There’s also an invisibility potion which, at the moment, seems to turn you into a floating suit of armour.